Post #38. This is the album I have been waiting for most in 2010. 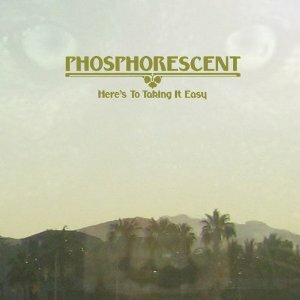 Phosphorescent‘s fifth LP, Here’s to Taking it Easy, follows the styling of his last, To Willie, a tribute album of Willie Nelson songs and songs popularized by him. Yep, this is country, but it’s honest country. Matthew Houck is the most sincere artist I have ever seen perform a song. As he shares his downtrodden spirit in songs about lost love and divorce, he sings with the conviction of a street corner preacher and speaks to the heart of everyone in the room. There’s just nothing like seeing him live. Stream the album for a few more days at Spinner. Please be sure to listen to Hej, Me I’m Light. That track is the most like the haunting folk sound of his magnificent album Pride.